169 pages of narrative, in seven chapters, from Lee’s move north after the Second Battle of Bull Run to his return to Virginia. No appendices in this volume. Five driving tour maps tied to the text: Confederates Enter Maryland; Federal Response; Harper’s Ferry; South Mountain; Return to Virginia. 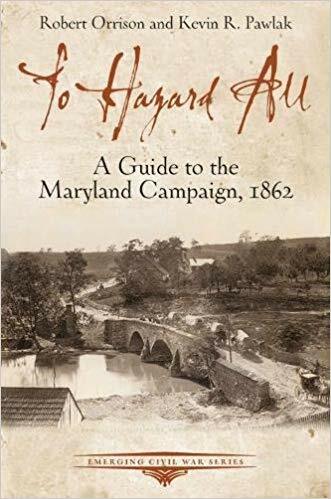 No tour for the Battle of Antietam, and while the texts for Harper’s Ferry and South Mountain run 32 pages, that for Antietam is half as long. Nine additional troop movement maps. No orders of battle, no index, no footnotes, no bibliography. Rob Orrison the Historic Site Operations Supervisor for Prince William County, VA.
Kevin Pawlak is Director of Education for the Mosby Heritage Area Association and an Antietam Licensed Battlefield Guide.